I just couldn’t make out what director Hansal Mehta tried to convey through his recent, critically acclaimed movie ‘Aligarh’. 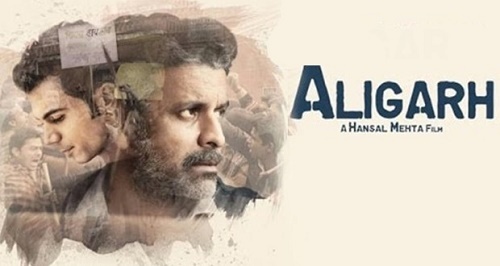 The story is based on the real life of a homosexual professor Dr. Shrinivas Ramachandra Siras who had been sacked from his post in the Aligarh University for his sexual orientation. Later, he was reinstated because of the Delhi High Court judgement on decriminalization of homosexuality only to see him commit suicide on the second day of his winning the case and joining. In my view, the story or his real life incident was rather confusing. Siras, in a way, is shown as a bemused man rather than a scholar. When asked whether he is ‘gay’ he replies in the negative. Then what made him to indulge in physical relationship with his partner who is a young rickshaw guy? He says it cannot be explained just like that. The answer may be poetic but can it be accepted in the court of law? Well, Siras is a poet, loner, married but the wife had walked out on him; here too when asked by his media friend Dipu is it because of his sexual orientation, he says no. The entire episode of his sexual escapade seems to be preplanned and videographed and publicizied to intimidate him by a group of colleagues due to inner politics. Homosexuality had never been shown in the proper light in any Hindi film so far. This movie is no better. Siras is grouchy though good basically. His suicide too explains nothing. Is he a coward or he has been murdered again by the enemies inside the university? Though the movie moves in a committed manner with a sort of serious narration, the ultimate result conveys nothing but the fact that in India a man who came out closet will only face ignominy and will become untouchable. One cannot understand Hansal Mehta had taken this decision or his protégé Raj Kummar Rao insisted on showing him as a ‘straight’and ‘normal’guy by adding an unnecessary liplock and love making scene with his woman boss. In such circumstances, one cannot but appreciate Manoj Bajpai for having the gumption to do the role Siras. He, was a lonely man at the evening of his life who had been punished for his sexuality and who took it seriously at times and jovial in some moments. Funny, but is possible. Manoj Bajpai lives up to the character of the man with eccentricity. The movie on the whole is far from entertaining or educative. It just unfolds and states the homophobia existing in this country. The handful of audience stands proof for that. The film can never become popular except in some international film circles.